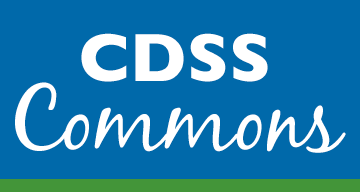 a sample flipbookThe Summer 2019 issue of the CDSS News will be a online only issue. On June 7th, 2019, CDSS Members will be sent a private link to the issue, which they can read as a digital flipbook or download as a PDF. 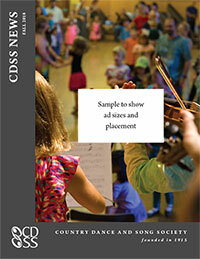 See a sample of the Digital CDSS News format. Why Advertise in the Digital Issue? CLICK THROUGH - Ads in this issue will click through to the URL of your choice (i.e. your website or Facebook page), driving readers directly to details about your event or event registration. INVITING FLIP BOOK FORMAT - The Summer 2019 issue will be presented in an inviting flipbook format that can be read on any digital device. The issue can also be downloaded as a PDF. Display ads in the Summer 2019 issue may be full color or black and white (grayscale), and should be sent electronically. Press-ready PDF is preferred but we will also accept JPG or TIF with 300-600 dpi resolution. We prefer that CDSS Affiliate members reserve their ad through our online form. The deadline for ads to be submitted for the Fall 2018 issue is Friday, May 10th. Please reserve and send your ad through our online form. You may also pay for your ad through the form (Visa/Mastercard).